Corey Baker does not have any MLB stats for the season. Draft: 2011, St. Louis Cardinals, 49th rd. October 9, 2017 RHP Corey Baker assigned to Leones del Caracas. July 11, 2017 Springfield Cardinals released RHP Corey Baker. February 16, 2017 St. Louis Cardinals invited non-roster RHP Corey Baker to spring training. July 26, 2016 RHP Corey Baker assigned to Springfield Cardinals from Memphis Redbirds. June 25, 2016 RHP Corey Baker assigned to Memphis Redbirds from Springfield Cardinals. March 28, 2016 RHP Corey Baker assigned to St. Louis Cardinals. April 1, 2015 RHP Corey Baker assigned to St. Louis Cardinals. August 27, 2014 RHP Corey Baker assigned to Springfield Cardinals from Palm Beach Cardinals. June 7, 2014 RHP Corey Baker assigned to Palm Beach Cardinals from Springfield Cardinals. May 15, 2014 RHP Corey Baker assigned to Springfield Cardinals from Palm Beach Cardinals. August 29, 2013 RHP Corey Baker assigned to Springfield Cardinals from Palm Beach Cardinals. July 28, 2013 Corey Baker assigned to Palm Beach Cardinals from Springfield Cardinals. June 26, 2013 Corey Baker assigned to Springfield Cardinals from Palm Beach Cardinals. June 16, 2013 Corey Baker assigned to Palm Beach Cardinals from Springfield Cardinals. June 15, 2013 Corey Baker assigned to Springfield Cardinals from Palm Beach Cardinals. May 22, 2013 Corey Baker assigned to Palm Beach Cardinals from Peoria Chiefs. March 31, 2013 Corey Baker assigned to Peoria Chiefs from State College Spikes. June 15, 2011 RHP Corey Baker assigned to Batavia Muckdogs. 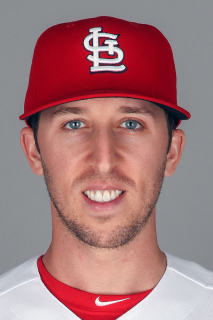 June 14, 2011 St. Louis Cardinals signed RHP Corey Baker.